Mobile Banking is a value added service offered by a bank to enable customers conveniently and securely conduct their banking transactions on their mobile phone. A mobile banking platform will enable you transfer funds and check your account balance and statement without having to visit your bank. 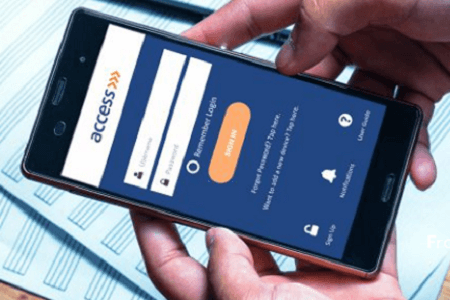 You can also buy airtime and pay utility bills with your banking platform. Depending on your bank, mobile banking services are offered mostly via a Java based application, SMS, and more recently mobile apps on the Windows, Android, and/or iOS platforms. Some banks will offer all options but others will only offer only one or more options. Mobile banking apps will require a smartphone. You can confirm from your bank if they have mobile apps that ease your banking. If they do you can go ahead and download it from the app Store of your platform. You will need to apply with your bank for the password that will enable you log-in. Authorising a transaction will require a hardware token or one-time PIN sent to your mobile phone. Mobile banking apps are easier to use, because users can easily navigate their transactions through user-friendly menus. Hence, users do not have to memorise SMS or USSD commands for transactions, making them. SMS based mobile banking platforms have the advantage of being platform neutral. They can be used on all types of phone and usually no download is required. However, you have to memorise codes required to engage in banking transactions. For example, Transfer 30000 1324 1234567890 could mean Transfer N30,000 to account number 1234567890. 1324 could be the PIN for autorising the transaction. As a minimum, most platforms will enable you check your account balance and statements, as well as transfer funds within your accounts in the same bank. However, most innovative mobile banking platforms will support fund transfer across different banks. Your platform can also be used to pay for services, especially services that you currently go to bank to pay for. Such services include utility bills (Electricity, Pay TV, Water, etc) and taxes. You can also buy airtime of most networks via banking platform. Services offered by mobile banking are limited compared to internet banking; this is due to the constraint posed by today’s mobile phones. First you need to have an account with the bank. Like all other banking services, visit your bank to find out whether they offer mobile banking services and how you can join. Like we pointed out earlier, you may need to apply with your bank so that they can enable you log-in. The customer care people at your bank will provide you with all the details you need. 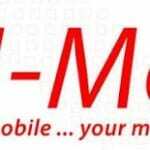 Is Mobile Banking similar to Mobile Money? Mobile Banking is different from mobile money, though the line is getting thinner by the day. Some services can be paid for using your mobile banking platform. In addition, you can also instantly transfer money to people, which effectly means you can pay for goods and services with your mobile phone. However, mobile money is a lot more versatile for making payments for goods and services. Mobile money enables you create an e-wallet on your phone for making payment and is not essentially tied to your bank account. In fact, you do not even need a bank account to use some mobile money services. On the other hand, mobile banking cannot be used if you do not have a bank account. The two also have different objectives. Mobile banking is aimed at making banking more convineint for account holders. In addition, by reducing the need for customers to visit the bank for every transaction, it reduces congestion in banking halls. It focuses on enabling customers to handle transactions that would have brought them to bank on their mobile phone. Mobile money is aimed at reducing the circulation of cash and making paying for goods and services more convenient. It enables people pay for goods and services without need for cash. So, mobile banking is banking biased while mobile money is payment biased. However, both can converge or work hand in hand. For example, it could be possible to fund the mobile money e-wallet from your mobile banking platform.